Profusely illustrated in full colour. Appeals to the layman as well as boating enthusiast. Nick Corble's seventh canal book. With over 2,000 miles of navigable waterway in the UK, Britain's Canals are an asset to be treasure by everyone. 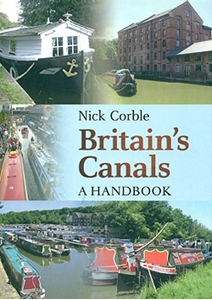 Nick Corble has written an accessible guide which will help you get the best out of a visit or a boating holiday on the canal network. Whether your interest lies in the history, the flora and fauna to be found along the towpath, or even the types of boats and their decoration, there is enough in Britain's Canals: A Handbook to inform and entertain. Seeking to appeal to and aid the interested tourist, dog-walker, passer-by, or even hopeful boat-buyer, the handbook is packed with tips, hints and useful facts, presented in laymen's terms and informing the reader what makes Britain's canals so special. A wealth of illustrations in full colour makes this the perfect primer for anyone who wants to know more about Britain's waterways.